Alice Violett turns to late 19th- and early 20th-century psychologists for the origins of stereotypes around only children. Only children are a topic that crops up again and again, whether in family and parenting articles, discussions about the legacy of China’s one-child policy, or everyday conversations in which someone might be described as a ‘typical only child’. Negative words and phrases including ‘precocious’, ‘spoilt’, ‘selfish’ and ‘Little Emperors’ are frequently bandied about despite the existence of numerous studies debunking such myths. However, such attitudes are nothing new. Negative perceptions of only children can be traced back to at least 1850 in Britain, and writers who identified themselves as psychologists expressed concerns about only children as early as 1867. Tellingly, the unprecedented concern with only children coincided with an increase in only children in middle-class families, which caused alarm among eugenicists. The increasing popularity of Darwin’s ideas about the importance of environment (as opposed to inborn ‘goodness’ or ‘badness’) in determining human behaviour, may also have had an impact. The only child’s problems were believed to originate in the home, where they supposedly experienced too much adult company and not enough contact with other children. Not unexpectedly, one of the results of the former was said to be the over-indulgence and over-valuation of only children. As a member of the child study movement, E.W. Bohannon’s research methods were a little different to those of the other turn-of-the-century psychologists mentioned in this article, who based their claims on clinical experience. A protégé of G. Stanley Hall, who famously wrote ‘being an only child is a disease in itself’, Bohannon collected information about only children by disseminating a questionnaire. This was an innovative method in the mid-1890s, although he virtually invited respondents to criticise only children – they were asked to choose and describe particular only children they knew, and in one question to ‘state anything else you may think due to the fact that they are the only child, only boy, only girl, the youngest child or twins’ (Bohannon, 1912, p.10). Perhaps unsurprisingly, Bohannon found only children to be ‘excessively’ indulged in 191 out of 266 instances (Bohannon, 1898, p.493). Several other child psychologists agreed with this assessment, with Cecil Willett Cunnington adding that too much parental attention led to only children being ‘selfish, inconsiderate, with a weakly self-control’(Cunnington, 1913, p.17), and Alexandra Adler (1930, pp.195–196) identifying inferiority complexes in only children whose parents did everything for them. Another concern expressed by late 19th- and early 20th-century child psychologists was that spending too much time with adults made only children ‘precocious’ and ‘odd’. Once again, Bohannon led the charge, writing that as a result of constant adult company and being privy to information unbefitting their tender years, only children exhibited a ‘peculiar’ mentality, language, manner and conduct, imitating the adults around them while remaining immature in other ways (Bohannon, 1898, p.494; 1912, p.26). This was corroborated by a cautionary vignette provided by Florence Hull Winterburn. A seven-year-old only child called Daisy, a frequent witness to her parents’ private conversations, overheard her father deriding her aunt’s latest admirer as a ‘stick’, but unfortunately lacked the requisite tact and understanding to keep this to herself (Winterburn, 1899, p.26). Being an only child was also linked to anxiety, and this could take more than one form. The anxiety of the only child’s parents, having ‘put all their eggs in one basket’, might mean the child missed out on important freedoms (Bohannon, 1898, p.496). Similarly, Cunnington wrote that only children commonly became hypochondriacs with ‘over-sensitive nervous systems’ as a result of undiluted parental concerns for their health (Cunnington, 1913, p.19). This undivided attention also resulted in ‘hypersensitivity’ and ‘distorted impressions of trivial happenings’ as there were no other children to distract the only child from ‘yesterday’s sensations’ and ‘morbid fancies’ (Cunnington, 1913, p.17). Alfred Adler (1931/1992, p.132) felt that the only children of parents who had limited their family due to financial worries were severely affected by growing up in such an atmosphere of anxiety. The effects of too little contact with other children in early childhood were reportedly evident in the only child’s poor adjustment to school. Although Bohannon made it clear that only children wanted company just as much as sibling children, he reported that half of the only children in his study got along badly with others, as their peculiarities, engendered by their home environments, set them apart (Bohannon, 1898, pp.489, 490, 495). Mary Chadwick expanded upon this, attributing only children’s unpopularity at school to their ‘unchildlike ways…, likes and dislikes… their usual attitude of superiority, criticism, and sometimes fault-finding, copied from the adults who have been their companions’ (Chadwick, 1928, p.323). These effects particularly manifested themselves when it came to games and sports. Many only children, used to a sedate environment, seemed to prefer to watch the other children play, be left alone, or stay inside with the teacher at playtime (Bohannon, 1898, p.241). Chadwick described schooldays as ‘usually a reign of terror’ for only children who, accustomed to winning, disliked games and sports whose set rules they could not twist to their own advantage. Naturally, these ‘little despots’ were unpopular with their schoolmates for always wanting to win (Chadwick, 1925, p.37). Little wonder, perhaps, that only children reportedly chose younger friends they could dominate, or older friends who indulged them (Bohannon, 1898, p.489). Despite their precocity in some respects, only children were believed to have a below-average school performance (Bohannon, 1898, p.494). According to Bohannon’s research, only children started school later and attended school less often than other children, while some over-indulgent parents allowed their only children to stay at home whenever they did not feel like going (Bohannon, 1898, pp.476, 486). When taken as a component of Alfred Adler’s warnings about the effects of spoiling on children, only children might be expected to be unwilling to leave the shelter of home, not want to be at school at all, and demand attention from the teacher by constantly asking for help or causing trouble (Adler, 1931/1992, pp.137, 147). The effects of only childhood, if not adequately addressed, were believed to continue into adulthood. Cunnington called for those parents of only children who had limited their families by choice to imagine their child’s future: ‘later in life he finds himself without brothers and sisters, plagued by a frail physique, an ill-balanced intellect, a weak morality, or he may discover the loneliness of his position to be unendurable to one of his sensitive nature’ (Cunnington, 1913, p.20). Both Cunnington (1913, p.20) and Alfred Adler (1931/1992, pp.229, 234) suggested that only children made bad marriages. In extreme cases, it was implied that an indulged only childhood could lead to insanity in adulthood. Henry Maudsley related the story of a 38-year-old only daughter who had been in and out of various asylums, being ‘given over to drink’ as well as being ‘extremely violent in conduct’ and ‘[in]capable of any self-restraint’ as a result of her parents’ over-indulgence. A habitual liar, ‘when she could not get spirits, she was abusive, mischievous, quarrelsome, full of complaints of the injustice done to her, and truly intolerable’, and she ‘was the hopeless patient of every doctor who had the misfortune to have anything to do with her’ (Maudsley, 1867, pp.313–314). Prospects for only children were not regarded as universally gloomy in the early 20th century, however. From 1927 onwards, sporadic small-scale studies by psychologists operating out of American universities began to appear. Hidden away in specialist journals, they nevertheless represented a turning point in both methods (from anecdotal to statistical methods) and attitudes. While the more ‘traditional’ psychologists grudgingly let only children have the occasional advantage – Bohannon (1898, p.491) allowed them a grand total of four positive characteristics, ‘affection, honesty, obedience and generosity’, and Chadwick (1928, p.352) praised their ‘wonderful games of imagination’ – some of these new investigations reported that only children showed superiority over other children in areas in which they had bad reputations. To mention a couple of examples, Ruth B. Guilford and D.A Worcester (1930, p.420 reported that the only children in their study exhibited significantly better self-control than other children, and Ethel Mary Abernethy claimed in a 1940 article (p.307) that only children were less neurotic than other children. These researchers also questioned old methods and explanations. J.B. Maller (1931/1992, p.16) suggested that only children performed badly in certain character tests because they were judged by their teachers, who held prejudices against their kind, and Ross Stagner and E.T. Katzoff (1936, p.345) criticised ‘convenient’ explanations, based on birth order, for certain children’s behaviour. As is to be expected, these new studies were not perfect – one might question, for example, how characteristics such as ‘courtesy’ and even ‘sissiness’ were measured, and some researchers continued to look towards old explanations of parental indulgence and over-protection when discussing their findings (Campbell, 1933, pp.203–204). However, they paved the way for more recent studies, such as the considerable research undertaken by Toni Falbo as well as John Claudy, who found that ‘onlies are much more like other children than they are different’ (cited in Newman, 2011, p.44). So why do these stereotypes persist? Susan Newman’s 2011 book, which defends only children, offers several explanations for why only children are still regarded as ‘lonely, bossy, selfish, spoiled – in short, screwed up’ (p.39). These include a social and cultural expectation to have more than one child, which I would argue remains; the idea of ‘source amnesia’, whereby old stereotypes persist in the mind despite the presentation of evidence to the contrary; and the association between strong negative emotions and the subject of only children (Newman, 2011, pp.40, 43). 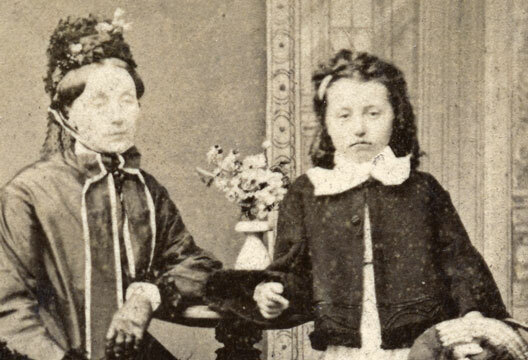 Oral histories and autobiographies of only children born between c.1845 and 1945 suggest that, in line with more recent studies, there was no typical ‘only-child’ experience in this period. Psychologists’ ideas about only children neither prevented parents from stopping at one child, nor reflected the experiences of many actual only children, who reported going gladly to school where they adjusted well and made friends, and leading fulfilling lives as adults. This fits well with my personal experiences: an only child myself, I have met and come across other only children with completely different experiences, as well as sibling children with whom I have much in common. Abernethy, E.M. (1940). Further data on personality and family position. Journal of Psychology 10, 303–307. Adler, A. (1930). The only child. In Alfred Adler and associates (Eds.) Guiding the child on the principles of individual psychology. (pp.195–209). London: George Allen & Unwin. Bohannon, E.W. (1898). The only child in a family. Pedagogical Seminary, 5, 475–496. Bohannon, E.W. (1912). Exceptional children and the only child in the family. Duluth, MN. Campbell, A.A. (1933). A study of the personality adjustments of only and intermediate children. Journal of Genetic Psychology 43, 197–206. Chadwick, M. (1928). Difficulties in child development. London: George Allen & Unwin. Chadwick, M. (1925). Psychology for nurses. London: William Heinemann. Cunnington, C.W. (1913). Nursery notes for mothers. London: Ballière, Tindall & Cox. Guilford, R.B. & Worcester, D.A. (1930). A comparative study of the only child and non-only child. Journal of Genetic Psychology 38, 411–426. Maller, J.B. (1931). Size of family and personality of offspring. Journal of Social Psychology 2, 3–27. Newman, S. (2011). The case for the only child. Deerfield Beech, FL: HCI. Stagner, R. & Katzoff, E.T. (1936). Personality as related to birth order and family size. Journal of Applied Psychology 20, 340–346. Winterburn, F.H. (1899). From the child’s standpoint: Views of child life and nature. New York: Baker and Taylor.